Bocchino sablon in da house! | What's Best Audio and Video Forum. The Best High End Audio Forum on the planet! I dont doubt Sablon Bocchino sound superb as you said. I just dont think any cable can jump from division one to the premier league by just changing the head and tail end connectors. Are you talking Bocchino a big fish or small fish. My big fish means you have Bocchino in your system and you can stop listening to your already wonderful sounding system for a week, then, come back to play without the Bochino and you realize it sounds significantly different. Small fish means you come back in a week and you still think your system sound terrific but you cannot really be sure to detect the difference whether you put the Bocchino on or off. If you try a/b'ing the same type of cable with and without Bochino with one week silence period like I said and still tell us that with Bocchino it is a big magnitude better, I will take your words for it and have no doubt about the effect of Bochino. Sir. I have Bocchino in all my interconnects and speaker cables. The Bochino is good. All I am saying is giving a different perspective of the delta as a user of these connectors. Especially on the phono cable my standard SME rca can sound just as good as my other phono cable with the Bocchino.. with even better practicality. Your ears are good, pls don't worry As with all hifi, everything matters, and just terminals alone do not make a good IC, but to get the best out of Bocchino, you have to ensure all cable parameters are excellent, inc conductor material etc, (but this you will know anyway). As OEM, they are expensive, especially our preferred B2 RCA, which is sonically the top of the tree, hence why we use it on our Ref Series, and have done for 10 years now. 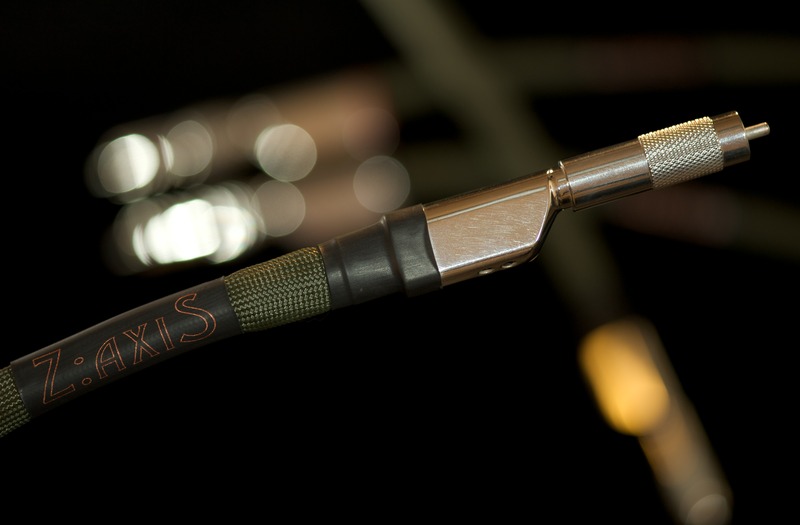 We also use the B24, with identical cable arrangement, so purely the RCA connector is the difference, and there is an audible difference between the two, surprising as it may sound. When we first started to build and test in 2009, we used many terminals as you can imagine, some were very good, WBT and Furutech esp, but the Bocc stood out as the most unforced, naturally 'grand' sounding of all. HiFi+ picked up on this aspect in their review in issue 76. I am flattered by the appearance of cables 'looking' quite similar to ours that are appearing now also , here is our original B24 from 2009..
Not guilty! This is the first time I have ever seen any of your cables! I wouldn’t worry, Mark, it is the equivalent to saying other manufacturers use wbt plugs lol. On the contrary Bill, it's hardly surprising given their sonic qualities.. Sorry Paul. You don’t make the plugs, you just use them. It is no different to someone using a certain brand of output caps or drivers. If you invented them, then you deserve credit. Adam, make sure you're sitting down when you test the Bocchino IC. For your own safety LOL. Marc, I did sit down, but I had to go one better and strap myself down for this one. I used the interconnects between my DAC and amplifier, and the improvement was similar to that of Bocchino PC, but with a higher delta. I've been using Mark's base Panatela interconnect, and it's the last remaining item in my signal chain due an upgrade. Silly me for thinking since the Panatela saw off all the more expensive contenders when it was introduced that I could rest with it on its laurels. I had inquired with Marc about going Reserva a while ago, but I got complacent and decided to address other areas. I experienced greater insight into all genres of music I played. Insight into the soundstage - unearthing ambiently occluded instruments and revealing their texture and timbre in a more true to life manner. With this, sound bloomed more naturally and filled my listening space like I've never heard before. Transparency across the whole spectrum was also punched up many notches. For once I wasn't straining to fill in missing notes to the words sang on songs I love. Every word was articulate and yet still full bodied and proportionally sized - two traits that, in my past experience, have proved mutually exclusive. I've placed an order for these with Mark, and Easter cannot come fast enough in cold, frosty Minnesota. Adam, I did kinda sit there myself thinking just what is going on. I'm jaded enough to know in this hobby that some changes can be dramatic but then reveal themselves to be euphonic, one note, initially positive but then proved to be skewed and biased. None of these negatives appears the case w the Bocchino ICs. There's more colour, but it's the full spectrum. There's more tonal density, but no cloying bass thickening. There's more detail and timbral accuracy, but no forensic astringentness. And there's more imaging and staging, but no CGI-like presentation of lines. Even more so than the Bocchino PCs, these cables really add to the listening experience. I feel I need to clarify that I demoed the Prince Sablon (Bocchino only on the power output side) and not the King. Marc, I may have had to strap my chair down for that. I'm sure the King is v nice indeed, but I can't fit any in my distribution strip. Happy to slum it w Princes thruout. When will these products appear on the website? Billy, my website is way out of date and the developer has gone incommunicado. Rather than rehash it, I will make a fresh website one of these days but in the meantime it’s best to email me to have a chat about the Bocchino terminated options. Forte, I know the Prince too. He's fairly regal, and showers gifts upon his adoring subjects. Direct from the man himself. Just figured it out and sent them email. Thank you very much! Am in a lovely beach bar in Potima Bay Cyprus enjoying a sun downer but will write back to you a little later Yegor! Enjoying the B..x.t gloom here in the UK, Mark LOL.